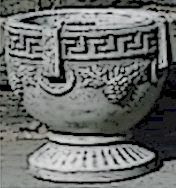 The Chinese say an urn’s usefulness is in its emptiness. When developing a character, look for their gaps or wants. Take the rugged loner, someone without family (in RPGs some tire of threats to family so their relatives die peacefully to stop this plot being used) and some games masters either comply or escalate with a manipulative response. These gaps (or voids) are where a story can fit in. For our loner, stories about isolation, friendship or relationships may resonate. Here Maslow's hierarchy of needs provides fuel and ideas and those with input into characters do well to consider how choices leave future gaps. Stories may be positive resolutions or threaten to widen or deepen the gap. A character without flaws in physical or psychological or spiritual makeup is difficult to relate to. Even The Man of Steel has limits and carefully cultivates a fallible identity in order to fit in. People are drawn to gaps, needs and vulnerabilities and this attraction can be used to give characters empathy – it is desirable but not essential. Some make it easier by giving characters hot buttons, using the risk principle 'If X, then Y' where ‘X’ is a situation and 'Y' is an action or behaviour. This compulsion may vary in intensity from irritant to obsession and forms a contract the behaviour will take place at some point – otherwise why bother? Hitting the hot button repeatedly can lead to fatigue where the audience doesn’t give a damn or worse, turns the character into a cliché. Timing and the rhythm of a story is also a consideration as hitting the hot button at the wrong time may get in the way of or worse still, derail a story completely. A character without hot buttons is concerned with editorial or self-control. If nothing provokes a reaction the character disconnects from the story. The hot button isn’t critical, it can be interesting if used well and can present dilemmas where the behaviour can set them up for risks or sacrifice for a reward - fulfilling for both the character and audience. An alternative to the hot button is the flag. This signifies a character's story needs to go where the flag indicates - suited to aspirational goals ("Kill Bill" or "Escape from New York"). Like all journeys, there are beginnings, waypoints and a destination. Using the flag forms an implicit contract that the journey will feature and eventually be resolved. Reverse plotting from the flag leads to story hooks and situations which may need to be signposted. Individual audience members may feel the plot is being railroaded or led by the nose. Again, over-use weakens its impact. Throwing in distractions or curveballs can give the audience a holiday. Remember to make it fast and come back to the story. A character without flags has no positive goals or desires. They just float through life, reacting to events and trying to deal with their flaws. It may be nice if you’re in a 90’s sitcom or soap drama but is it adventurous? Is it heroic? And would you engage with a character that laissez-faire or passive? Few people will enjoy the vicarious feeling of helplessness even if they bond with the character by other means.